Are you interested in dramatically and quickly increasing your revenue? Then stay with me for the next 4 minutes. One of my roles as a direct response copywriter is the presentation of pricing. One goal of long-form copy is to justify a higher price for a high-quality product or service … like your product or service. Most companies can generate a “quick hit” increase of 5-10% simply by reorganizing the presentation of pricing. Then, over a period of about 90 days, more significant increases in revenue can be generated. Because my goal is to help you drive new revenue and increase your revenue, I introduced a new service/sub-specialty: PRICING REVIEW. In this service, I take a full look at all your products and services and look at how you have priced them, plus how the pricing can be reorganized to boost revenue. I also look closely at your upsell and downsell strategy and execution … every part of your pricing strategy. Current copy and how it’s organized to justify current pricing. Recurring revenue streams and potential for continuity programs. Possible revenue “leaks” and how they can be fixed. How competitors are pricing their products and services. A 5-10% increase in revenue in the next 30 days. 15-30% increase in revenue in the next 90 days. You’ll discover where you might be “leaking” revenue and how you can fix these leaks. A total analysis of your copy with a focus on how it impacts and relates to pricing. You likely have products and services you can offer for additional revenue. I’ll help you find these. You’ll discover where you can increase your pricing … and where you can’t. Get out of the “commoditization trap” and stop competing purely on price. Discover how to start using cross-sells. Sell more, more often, to the customers who like and value what you provide. Discover how testing can usually reveal what you can actually charge for your products and services. New products and services you can provide. This full analysis takes just 7 days. There’s an initial 30-minute conversation. The fee for this consultation is $100. The full analysis is $2,000. To schedule the initial consultation, click here to contact me. Here are my thoughts about pricing as it relates to direct marketing and direct response copywriting. In direct marketing, we like to focus on lists, copy, proof elements, and the other core elements of our world. Nothing wrong with any of that. But, in my experience, even some of the top direct marketers would benefit significantly by looking more closely at pricing and spending some time learning more about pricing strategy. Even a slight tweak in pricing can instantly deliver a 5% increase in revenue. And when a company decides to pursue new pricing strategies, revenue can … and should … explode. As a direct response copywriter, I have three vital roles when it comes to pricing. One. Bring pricing expertise to my clients. Two. 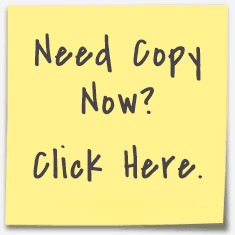 Justify higher prices for products and services by using well executed long-form copy. Three. De-commoditize the product or service so you’re no longer fighting price wars. Remember … my goal as a direct response copywriter is to maximize revenue for you … my client. Pricing plays a vital role. Test like crazy. Testing will provide some pleasant surprises … like a higher price might beat a lower price for exactly the same product. Upsells and downsells are part of pricing strategy. One of the many reasons to use long-form copy? You can justify a higher price. I get giddy when a company has a grid with two or three options. And I get especially giddy when I see the words “best value” above one of the options. You don’t have to use weird and generally down-market tactics like “bait and switch.” No … you can be totally clear about the price of the product or service and the pricing strategy. Why be any other way? Just be totally clear and totally transparent. The guarantee is super-vital when you start to charge more. You have to take away all risk. You can build significant additional value by offering free bonuses to complement and augment the main product. But you must write ample copy for these free premiums. As a direct response copywriter, it’s my responsibility to help you with pricing. And one more thing. I’m sure you’ve been ready, able, and willing to buy a product only for the salesperson to say something like … “and because you’re buying right now, I’m going to give you a discount.” Maybe you’ve thought, on occasion, that you would have paid more for a product or service and that it was underpriced, perhaps suspiciously so. Interested in finding ways to drive more revenue? Click here now to contact me and let’s talk.